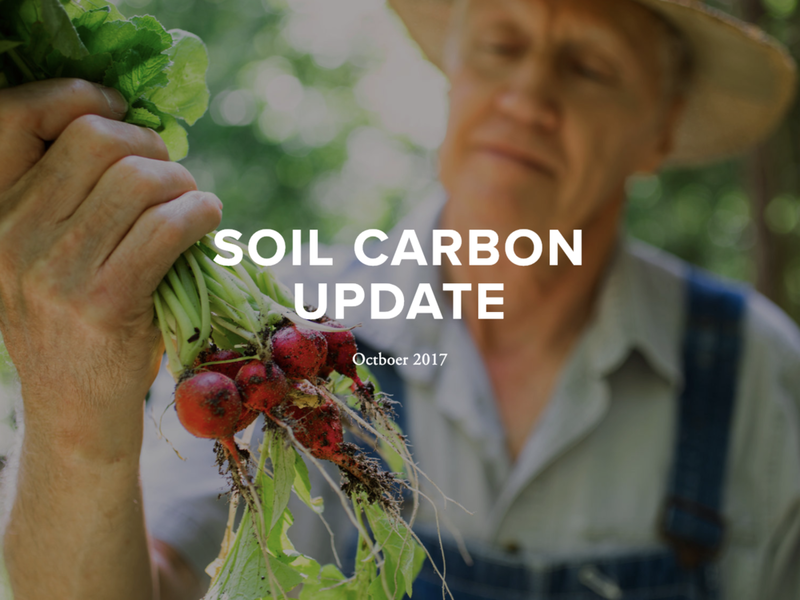 In addition to the full report from our 2016 soil carbon summit we have produced six updates on advances in soil carbon sequestration. The reports can be viewed below. We’ve also included a report on State Soil Health Initiatives recently released by Earth Justice. To join a global list serve on soil carbon and to receive periodic updates, sign up here. Our 2016 global conference, Sequestering Carbon in Soil, brought together farmers, soil scientists, funders, and policy experts to establish the best paths to take soil carbon sequestration to scale globally. See the report for discussions and outcomes. This update includes features on news and resources for and about farmers, reports, policy developments, conferences and events, supply chains, viticulture, media coverage and books. This update includes features on publications, reports and studies, ecological restoration projects, prizes, mapping, monitoring, reporting and verifying carbon in soil, events, policy development and grants. This update includes features on reports and studies, conferences, news coverage, emerging efforts, jobs and volunteer opportunities.